Autumn is a great time to reinvent your living and bedroom spaces as the cooler months settle in. Consider using different scatter cushions, heavier weight throws, perhaps even changing your rug to a thicker weight for the cooler months. Texturing and layering are key, as this gives the feeling of luxury and warmth and is also practical as it keeps you warm! There’s nothing better than being able to snuggle under a thick throw (that doubles as a decorative and layering piece in your bedroom or living area) while enjoying a cup of tea and reading a book. In the bedroom I pull out the quilted doona covers, and add additional layers to my bed. A coverlet is perfect to add colour and layers, while also creating extra warmth. 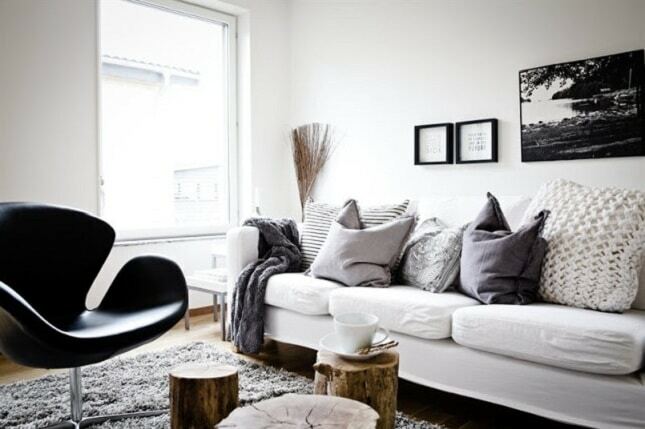 Combined with throws and scatter cushions it also adds multiple layers. Think faux fur, velvet and chunky knit cushions, thick knotted throws and scatters, and even a sheepskin or sustainable Scandinavian deer fur add layers to add that extra luxury – draped over the corner of a bed, or the back of a sofa, they do look fabulous. Swap your bright summer scatters for deep blues, emeralds and the colours of autumn, and transform your rooms, ready for the cooler months.